© Reuters. U.S. Futures point to a lower open on Wall Street. 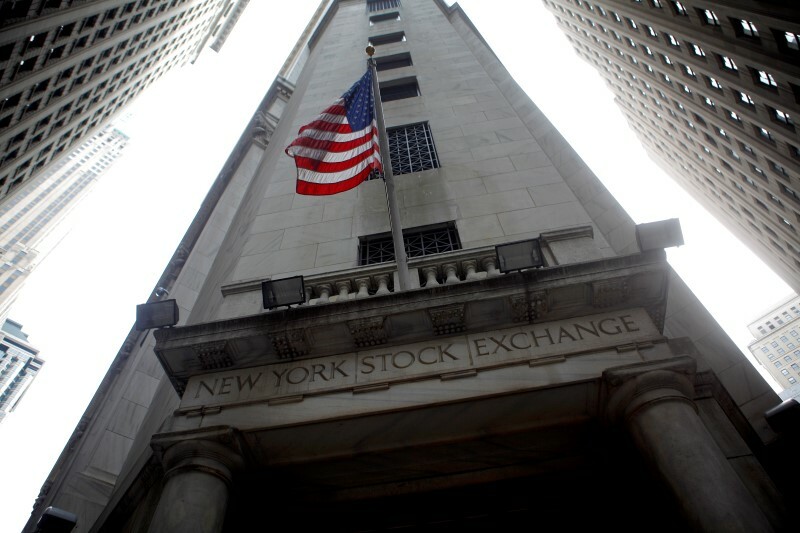 Investing.com – U.S. futures pointed to a lower open on Wall Street Monday, as rising bond yields and increasing interest rates made equities less attractive to investors. The fell 7 points or 0.25% to 2,886.75 as of 6:50 AM ET (10:50 GMT) while were down 87 points, or 0.33%, to 26,405.0. Meanwhile tech heavy decreased 26 points, or 0.35%, to 7,410.0. U.S. bond markets are closed for Columbus Day but stock markets are open. Still, trading volumes were expected to be thin, with most banks and federal agencies closed for the holiday. Concerns over rising bond yields weighed on investors, as the yield on the benchmark note reached its highest level seen since 2011 on Friday. It climbed about 15 basis points last week and is up about 20 basis points over the last month. Tesla (NASDAQ:) was among the top gainers in premarket trading, rising 1.63%, while General Electric (NYSE:) surged 2.05%. Elsewhere, Fiat Chrysler Automobiles NV (NYSE:) slumped 3.22% while Jd.com was down 1.65% and Netflix (NASDAQ:) lost 0.95%. Facebook (NASDAQ:) inched down 0.29% while Perrigo Co (NYSE:) slipped 0.36%. Amazon (NASDAQ:) decreased 0.72% and Apple (NASDAQ:) fell 0.24% despite the U.S. Department of Homeland Security saying it did not doubt the tech companies claims that reports of Chinese spyware in their servers were false. In Europe stocks were down. Germany’s fell 95 points or 0.79% while in France the was down 46 points or 0.86% and in London the decreased 44 points or 0.61%. Meanwhile the pan-European lost 23 points or 0.69% while Spain’s slumped 62 points or 0.68%. In commodities, fell 0.70% to $1,197.20 a troy ounce while futures decreased 1.51% to $73.22 a barrel. The which measures the greenback against a basket of six major currencies, increased 0.31% to 95.61.